Which Truck Holds the Best Value? Getting the best value for your money is always a priority when purchasing any truck. How much the truck will be worth down the road is the primary way we judge how well any vehicle holds its value. 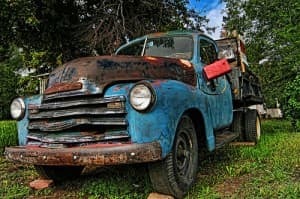 How often the truck breaks down and needs repairs after it has been on the road for a few years is another indicator of value. The following is a list of the best pickup trucks that hold their value. The Ford F-series is now the bestselling line of trucks in America. This high demand leads to high resale value. These work trucks are built strong for a variety of uses. This large truck has an expected retained value of over 48 percent of its original cost. This is a light duty pickup that is a favorite of many professionals and people in the service industry. Recent models have received high ratings for safety and reliability. During the past several years the Sierra has consistently had strong resale value. The 2014 models are also projected to have high resale value as well.